UPDATE: It is now being reported that 6ix9ine was simply transferred to a new facility and has not been released.Here’s a pleasant surprise to start off your Thanksgiving morning. For anybody wishing Tekashi 6ix9ine could wiggle himself out of yet another bad situation, it appears as though he may have just done so. The young rapper was locked up on federal charges earlier this week when he and a few others were charged for firearms and racketeering offenses. 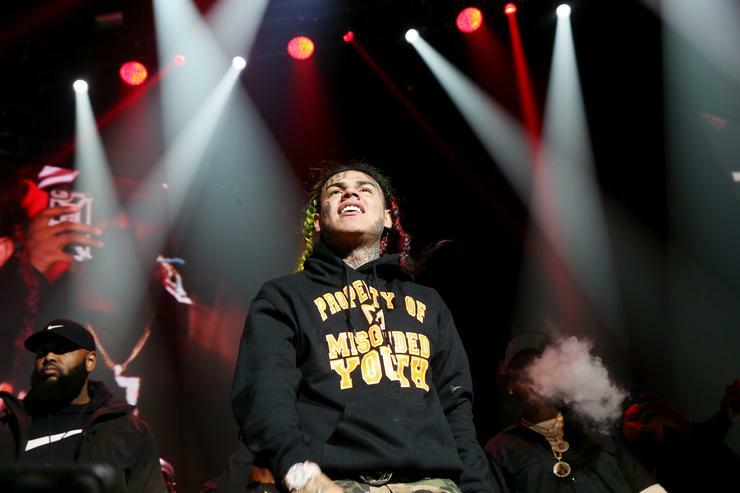 There have been plenty of updates since his initial entry to prison, including the obvious delay of his upcoming album Dummy Boy. Some news that we weren’t expecting this soon has just broken out by way of HHNM, who conducted some research on the matter. Apparently, 6ix9ine was released from the prison he was being held at. Tekashi was being held at the Federal Prison of Brooklyn’s Metropolitan Detention Center but according to the publication, he was released yesterday. After a search of the Federal Bureau of Prisons website, it looks clear that 6ix9ine, real name Daniel Hernandez, is out of prison. Of course, it’s also possible that he was just transferred to another facility for his own safety. Details will be clearer as time passes but it remains evident that he left the Brooklyn center yesterday. The artist was facing a maximum sentence of life in prison. With this latest update, his case becomes even more unclear but we’ll be sure to update you accordingly. 🚨 Breaking: #Tekashi #6ix9ine has been released from federal prison. Full story in bio link. . . UPDATE: TMZ reports that Tekashi has been released from Brooklyn Metropolitan Detention Centre and moved to another facility which is regularly used to house witnesses who cooperate with the feds. His lawyer says he doesn’t know where the rapper has been taken.